fun. Announce Another Nashville Show | Grab Your Tickets NOW! 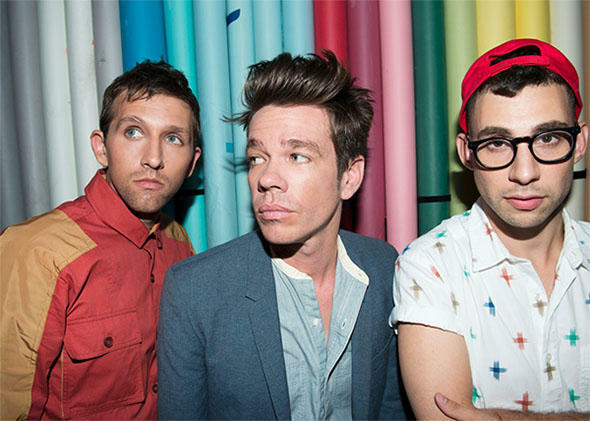 Not one of the lucky few (thousand) who grabbed a ticket to fun.‘s upcoming Ryman Auditorium show next week before it sold out? Well, it’s your lucky day because the “We Are Young” trio have already announced their NEXT tour and Nashville once again made the cut! This time, the group will be performing at Music City’s brand new outdoor amphitheater: The Woods at Fontanel, Sunday September 22 (I can’t believe we’re talking about September already). Located just 10 minutes north of downtown, The Woods can accommodate 4,500 guests, and (for this show at least) appears to be all general admission. Still, with hit after hit, a recently-certified platinum record (now THAT’s an impressive feat for a rock band these days), and a likely sweep at this weekend’s Grammy Awards, this show is basically sure to sell out. Tickets aren’t onsale to the general public until next Saturday (2/16), but we’ve got the low-down on how to snag your tickets RIGHT NOW. Just head to this link and use to password ‘SOMENIGHTS’ in the presale field, and you’re good to go! Opening the show are Canadian indie rock duo Tegan and Sara. Their just-released brand new album, Heartthrob, is already an early contendor for one of the best of 2013. It’s poppy, it’s layered but also heartfelt and full of substance- the latest in a fantastic career of releases. Tegan and Sara alone would be worth hitting the show for, but pairing them with fun. is just icing on the cake. fun. and Tegan and Sara will be performing at The Woods Amphitheater at Fontanel, Sunday, September 22. Tickets are $41 ($51.50 after feeds), and can be purchased here now using the password ‘SOMENIGHTS’ in the presale field. You can find more information about the show here.